These kids have a crapload of toys so it was pretty easy to mix and match in order to try and find something to do with the little red guy. 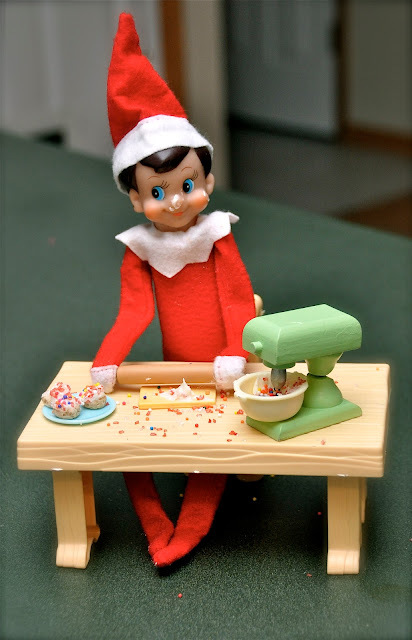 The kids have really enjoyed seeing what our elf does every night and there were only a couple of nights where I was like what in the %$&# am I doing with my life? So a couple more days and we can pack him back in the closet until next year. Let's just hope that next year my kids are still wide eyed when they come upstairs and tell me what Smarty's been up to all night.